The core themes the JBG, an urban nature center in the heart of the city, deals with are botany and the environment. It emphasizes in its educational activities use of all senses and challenges to accentuate visitor experience. The changing seasons create a display which changes each visit: a carpet of fall leaves, blossoming trees, spectacular blooms, ripening fruit and endangered plants are part of the unique setting on offer when visiting the Gardens. 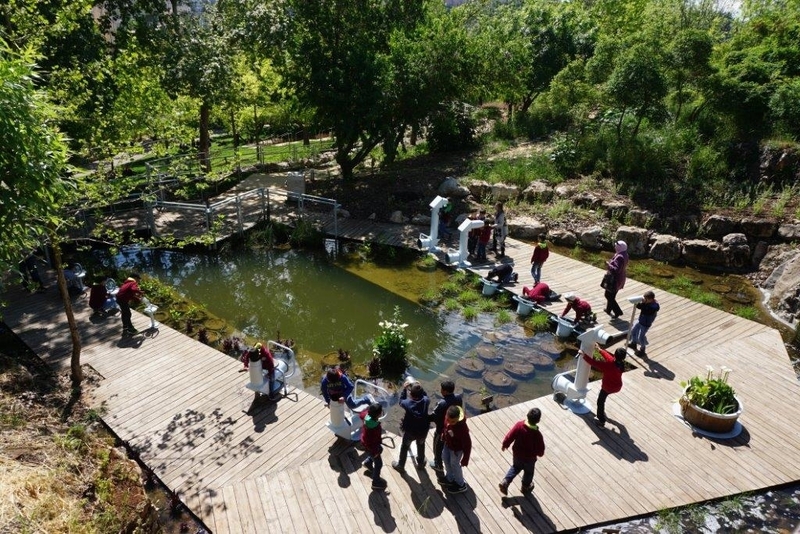 The JBG Education Department offers activities and tours for all ages – pre-school, primary and secondary education as well as for special needs groups. They will also gladly create a tour or construct an activity program to suit the needs and interests of your group. Please arrive at the gates half an hour before your activity is scheduled to begin. Time dedicated to settling payments, getting situated and food. Delays will result in less time being dedicated to the activity. We at the JBG put a lot of effort into cultivating special varieties of flowers and trees. Please prepare the pupils for their visit to the JBG, explain to them the importance of plant preservation, walking on the paths only and ask them not to pick flowers of leaves. Special rates for municipal programs. Payment must be settled on arrival and before the activity begins. Please make sure to arrive on time. For activities where the participants pay individually – please collect payment before arrival and payment by a representative at the Gardens’ ticket office.